As summer arrives, it’s a great excuse to grab the picnic rug, some friends and head outdoors to watch some of the latest movies, and classics, in cinemas beneath the stars. Here’s our wrap-up of some of the best adult and also child-friendly cinema under the stars options around the country this season. Seventeen nights of cinematic bliss grace Sydney’s newest park precinct, Darling Square. The Night Owls Kids’ Film Festival runs from 4-20 January. The event kicks of at 6pm each night with live entertainment. At 6:30pm, watch a collection of short films curated with the help of Little Big Shots. From 6:45pm the main event will begin. The best summer flicks will keep the whole family entertained. Movie munchers won’t be disappointed by the available food options on site. The Film Festival will conclude with a special screening of Sweet Country, an Australian period western with an all-star Australian cast. 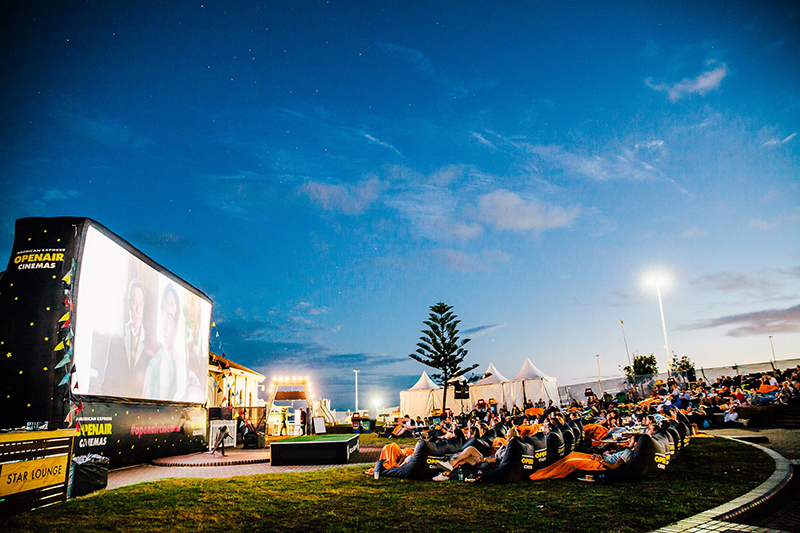 Melbourne’s Barefoot Cinema Returns for the 2018/19 summer at Portsea, Mount Martha and Ripponlea Estate. The Cinema launches on Boxing Day and will host 44 screenings. A variety of films will be on show, from family-friendly favourites to musicals, comedies, cult classics and everything in between. Each session begins with pre-show live music. There will be a bunch of themed sessions including surfing nights, music nights, Valentine’s Day and Australia Day. The onsite bar serves beer, wine and cocktails, with food trucks serving a number of dishes. A casual candy bar is also available for snacks. Come for the film, stay for the view. The St George Open Air Cinema is back in Sydney from 8 January – 16 January 2019. Situated on the harbourside of the Royal Botanical Gardens at Fleet Steps, the view alone is worth the price of admission. The giant 3-storey-tall screen looms before you, ensuring you are engrossed. 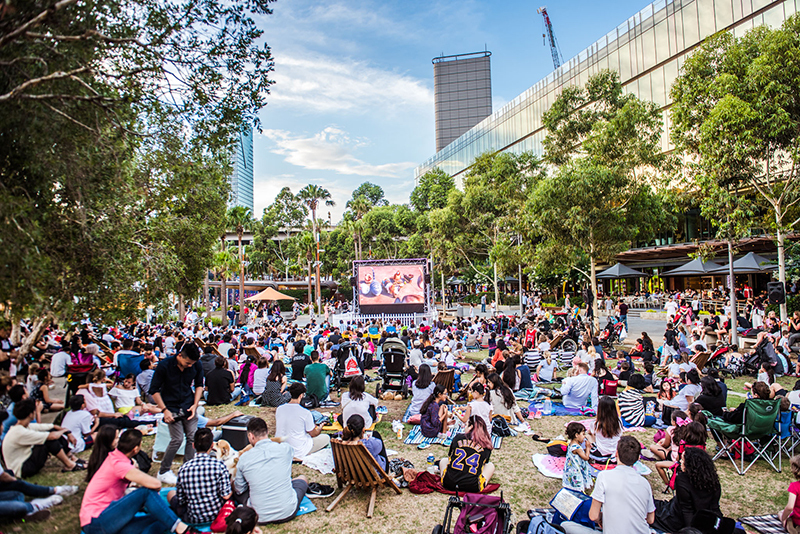 The Open Air Cinema has partnered with some of Sydney’s top dining venues to bring food to the films. Grab a bite from the team from Matt Moran’s Chiswick or premium dining from Aria. Also onsite is the Kirin Bar serving drinks. The St George Open Air Cinema will open with the Australian premiere of Mary Queen of Scots featuring Aussie superstar Margot Robbie. Part cinema, part film festival, all outdoors – that’s Flickerfest. Set amongst the backdrop of iconic Bondi Beach, the year’s best short films from Australia and the world will be on show. Alongside the films, there’ll be a special opening night, a panel filled with industry speakers, an awards ceremony and a closing night party. Flickerfest runs over the latter half of January with close access to an indoor venue should the weather be unkind. The festival is Academy Accredited, and BAFTA-recognised so you know it’s the real deal. 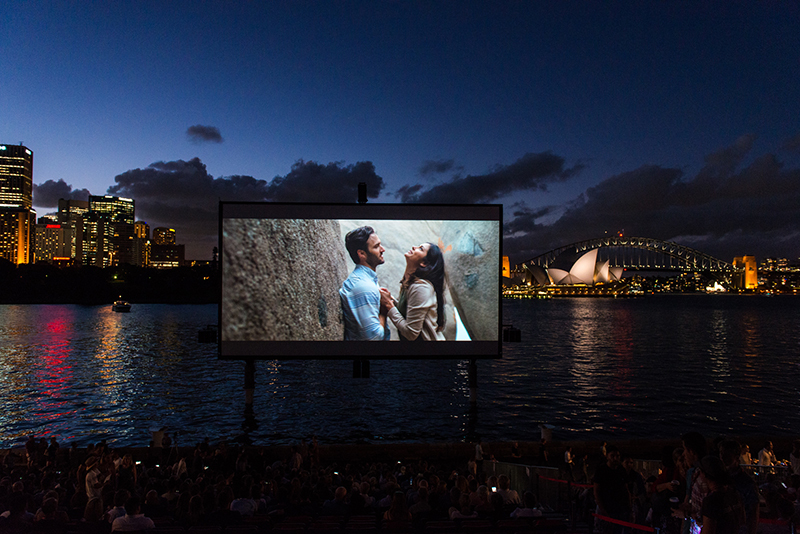 American Express Openair Cinemas are bringing outdoor delight to ten venues across Australian and New Zealand. Live music, sunset drinks, food and of course films are all on offer. Food providers differ by location and range from Chimichurri Grill’s, to Salt Meats Cheese, to Sultan Pepper. With a variety of seating arrangements available, getting your crew together is easy. American Express Card Members will receive a number of special treats such as 15 per cent off the regular ticket price, complimentary blanket hire and access to the American Express Garden. 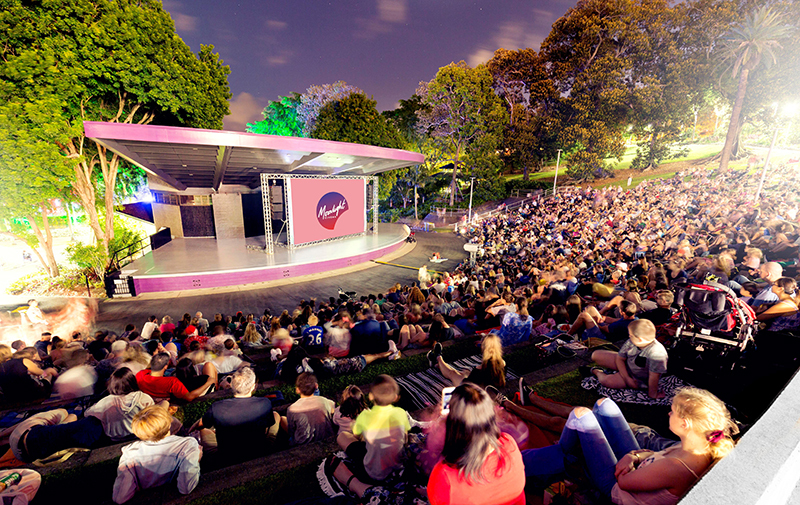 Moonlight Cinema brings over 25 new releases and fan favourites to Australia’s capital cities. Those wishing to BYO drinks and snacks are more than welcome, as are those wishing to buy from the bar and food truck. Once the flick starts rolling you can relax under the stars for an unforgettable cinematic experience. 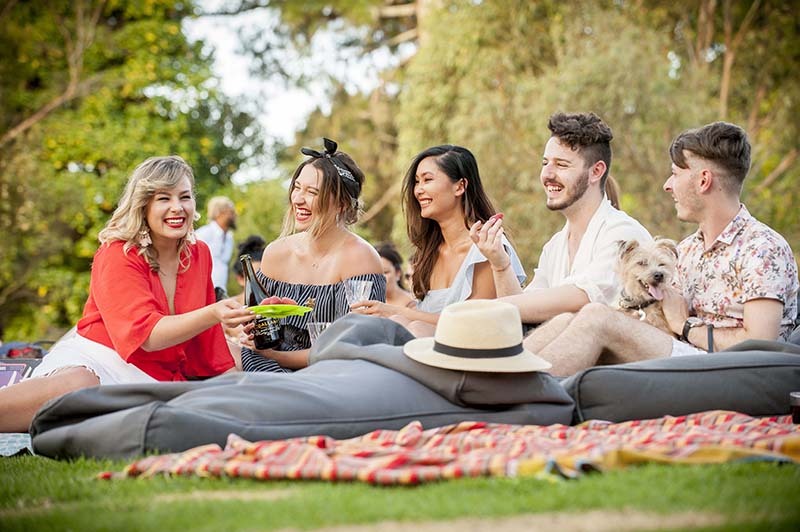 Moonlight Cinema also offers ‘Gold Glass’ with reserved beanbags in a premium viewing location and waiter service so you can have that next drink without missing a moment. For those looking for a winter film fix head to outback Queensland for the Vision Splendid Outback Film Festival. The festival will run from 29 June to 6 July in Winton.